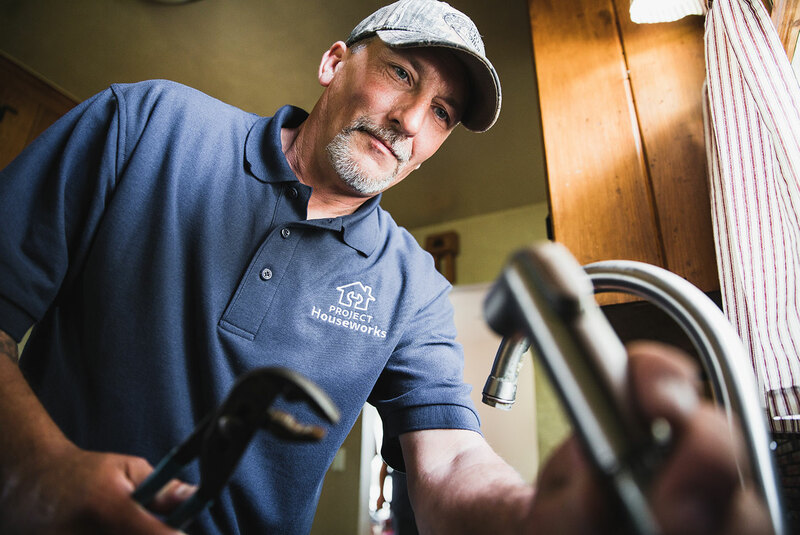 By providing free critical home repairs, we help give homeowners the ability to stay in their homes and “age in place” in safe, healthy environments. 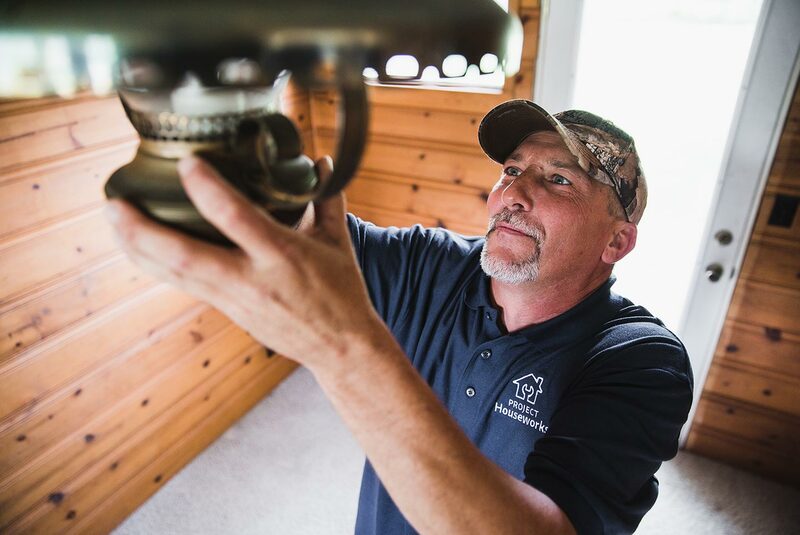 Project Houseworks’ Home Repair Program provides roof replacements, toilet and plumbing repairs and fixes for gas leaks and other serious problems that require immediate attention. 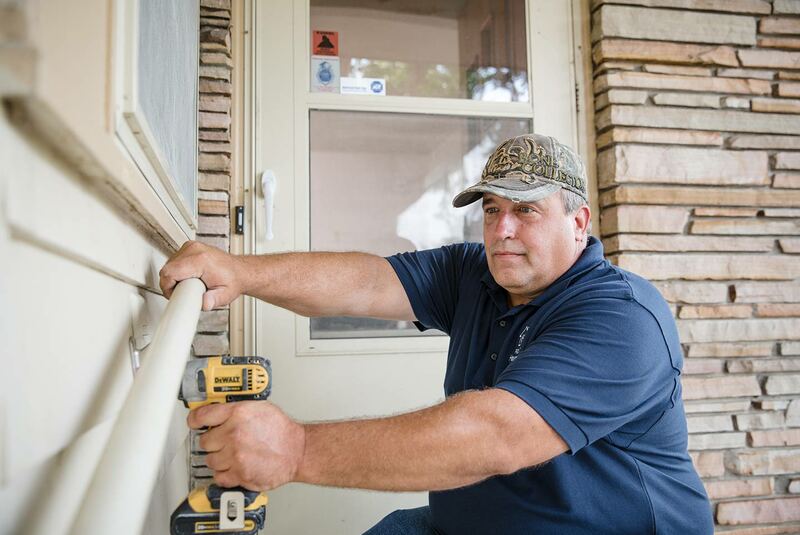 Project Houseworks’ Home Modification Program focuses on enhancing the independence and mobility of those with disabilities, to help them remain safe in their homes. Our program helps to prevent unnecessary institutionalization by offering free modifications that help increase safety, security and all-around independence. Warm the Metro is an annual program we offer each fall, in partnership with the Heating and Cooling Contractors Association (HACCA). Members of HACCA volunteer to provide furnace maintenance checks and free repairs (sometimes even replacements) for homeowners enrolled in Project Houseworks. Powering Hope connects Project Houseworks’ homeowners with licensed electricians who volunteer to safeguard our clients from electrical hazards. 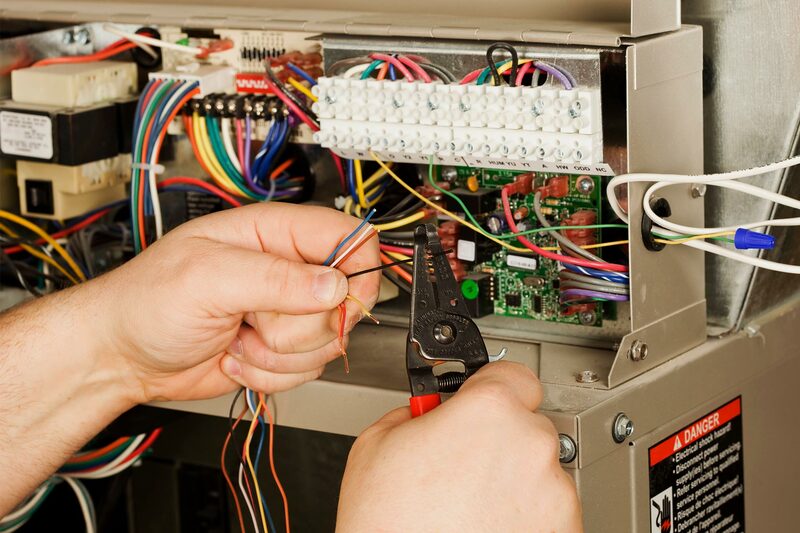 Offered twice yearly, Powering Hope is a collaboration between Project Houseworks and the International Brotherhood of Electrical Workers (IBEW Local 22) to offer free electrical repairs for homeowners enrolled with Project Houseworks. A Project Houseworks sponsorship provides community-minded companies and their employees, foundations, service organizations and congregations with an opportunity to serve a senior while building a positive association with a nonprofit that holds a long, successful history in Omaha neighborhoods No homeowner wants to forgo basic home maintenance, but illness, aging, rising costs, job loss and other extenuating circumstances can force a neighbor to make difficult decisions. Project Houseworks and its programs help restore the homes in your neighborhood to safer, healthier conditions. Contact us at (402) 965-9201 or by email to see where your skills are needed most.